The use of hemodynamic signals as a surrogate measure of neuronal activity presents a major challenge to any straightforward interpretation of fMRI data. In recognition of this caveat, this study describes a polyimide-based MR-compatible microelectrode array with a MR-compatible headstage preamplifier and demonstrates the feasibility in vivo for recording of BOLD, LFP, MUA, and single-unit activity simultaneously. 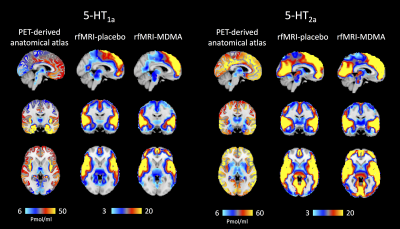 This study evaluates the degree to which resting-state fMRI (rfMRI) response indexes the action at drug target sites by testing whether haemodynamic response to MDMA mirrors receptor 5-HT density profiles measured with PET. We weighted the rfMRI BOLD signal using a high-resolution in vivo atlas of the serotonin system. Results show that an altered haemodynamic response to MDMA is detectable only in the maps related to MDMA serotonin targets. This study provides new evidence that rfMRI haemodynamic response to MDMA reflects the known binding profile of the drug and set the basis for a biologically-informed rfMRI analysis in drug challenges. The BOLD signal is linked to neural activity through the canonical hemodynamic response function (HRF), often assumed to be static across both brain area and brain state. 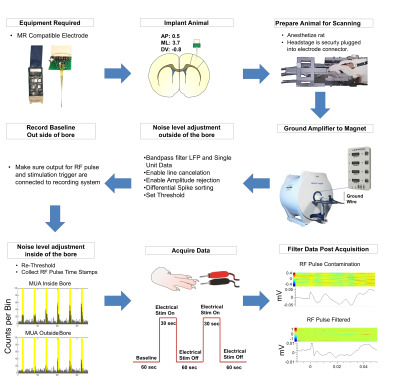 We employed simultaneous EEG-FMRI recordings to investigate the hemodynamic response to neural activity in the alpha, beta, and gamma frequency bands. We find that the shape of the HRF depends on both brain region, and brain state. Default mode network (DMN) BOLD signals are linked to alpha synchronization, while occipital BOLD signals are linked to alpha/beta desynchronization and gamma synchronization. Connectivity estimates assuming a canonical HRF may be biased by HRF differences across region and state. Simultaneous EEG/fMRI acquisition allows to measure brain activity at high spatial-temporal resolution. The localisation of EEG sources depends on several parameters including the position of the electrodes on the scalp. The position of the MR electrodes during its acquisitions is obtained with the use of the UTE sequence allowing their visualisation. The retrieval of the electrodes consists in obtaining the volume where the electrodes are located by applying a sphere detection algorithm. We detect around 90% of electrodes for each subject, and our UTE-based electrode detection showed an average position error of 3.7mm for all subjects. Cross frequency coupling of Alpha/Gamma oscillations between frontal and parietal-occipital cortex coordinates neuronal communication at higher frequency which often correlates with higher-order cognitions. The dynamics of cross frequency coupling and neuronal communication is often modulated by higher-order cognition tasks while comparing resting-state. The neural correlates and modulation of these cortical communication caused by reciprocal relationship of alpha/gamma band between frontal and parietal-occipital regions are poorly understood. Hence in this study, cortical functional correlation of alpha/gamma oscillation between frontal and parietal-occipital region for higher-order cognitive task such as Situational Awareness is assessed and its modulation from resting-state has been explored. 6 Does Pre-task Resting state Absolute Alpha (PRAA) power and its Frontal Asymmetry Index (FAI) predict outcome of Situational Awareness task? 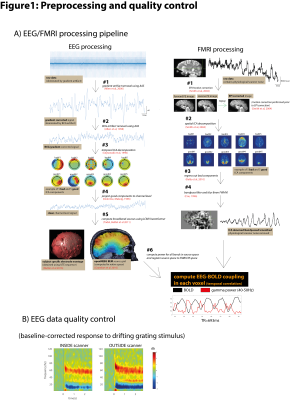 Assessment through EEG informed fMRI approach. One of the established hypotheses is that alpha-oscillation inhibits irrelevant stimulus processing during task, but correlates positively with emotional stability of individual in absence of predefined task. However, role of Pre-task Resting state Absolute Alpha rhythm (PRAA) and its frontal hemispheric difference estimated by Frontal Asymmetry Index (FAI) in predicting the outcome of individual’s performance in higher-order cognitive task is poorly understood. Thus, in this study, correlation of PRAA and FAI with behavioral parameter pertaining to Situational Awareness (SA) task was studied. 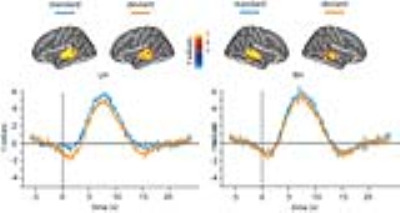 Further, to substantiate the emotional connectivity of PRAA and FAI index, their neural correlates in task-fMRI were estimated. 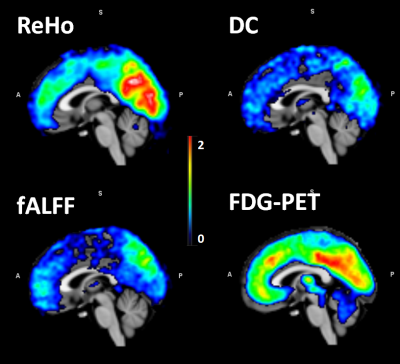 This abstract proposes a new joint fMRI and functional FDG-PET (fPET) ICA analysis method, coherent ICA, based on the simultaneously acquired dual-modality imaging data. It applies ICA on the spatiotemporal data sets from both modalities to obtain coherent activation maps and preserve their correspondent temporal information, which is not retained by existing methods. The preserved temporal information can potentially be used to investigate the interaction between BOLD signal and other metabolism change measured by fPET. Using fast fMRI (whole-brain 10 Hz sampling), we revealed the left hemisphere’s BOLD signal is more delayed by 500 ms when engaging a lexical discrimination task than a non-lexical discrimination task. 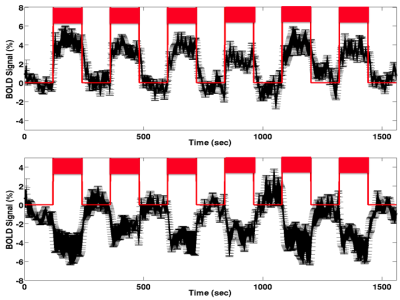 EEG study on the same subjects suggested such BOLD signal delay is related to the oscillatory power in the beta band. 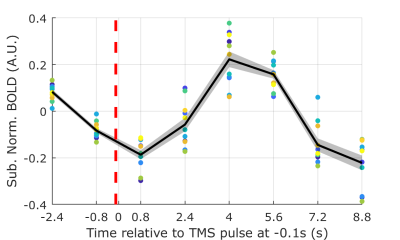 To test whether the level of activation of the anterior cingulate cortex (ACC) following a TMS pulse delivered to the dorsolateral prefrontal cortex depends on precise timing of its delivery relative to an individual’s alpha rhythm, we developed an integrated EEG-fMRI-TMS instrument capable of acquiring simultaneous EEG-fMRI while delivering TMS pulses in the scanner. We found a statistically significant effect of BOLD signal change in ACC dependent on individual subject frontal alpha phase just prior to TMS delivery. Specifically, TMS-evoked BOLD response in the ACC increased when TMS pulse was synchronized to the rising slope of the frontal alpha oscillation. A fundamental problem with fMRI measurements is the strong presence of low frequency systemic physiological noise (<0.15 Hz), which significantly corrupts detection power for hemodynamic variations caused by task induced neuronal activation. In this study, we propose a novel noise removal strategy for task-fMRI studies by taking into consideration a relatively new established property of systemic low frequency oscillations (sLFOs): their dynamic propagation within cerebral vasculature causing voxel-specific arrival delays. 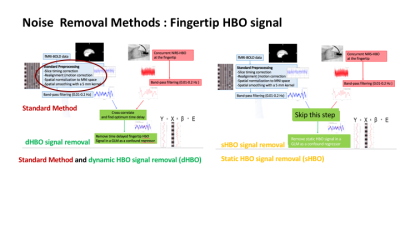 We compare the performance of dynamic noise modelling regressors obtained from i) BOLD data and ii) a fingertip HBO signal of non-neuronal origin concurrently recorded with near infrared spectroscopy (NIRS). 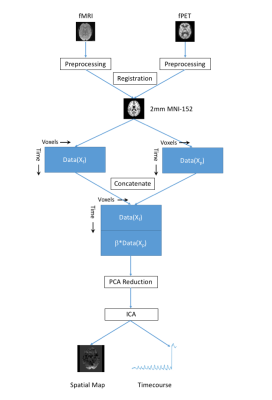 In simultaneous EEG-fMRI, cardioballistic (BCG) artifact removal algorithms require the detection of artifact occurrence time to form subtraction template for artifact correction. The artifact occurrence time can be estimated by an average delay following the R-peak of electrocardiogram (ECG) recording, or directly measured from the BCG component in the EEG data. Here we compared the BCG artifact waveform evaluated by artifact cycles measured from the BCG and ECG data. We found that direct BCG cycle detection from EEG data provides better BCG waveform for the artifact correction and eliminates the need for independent ECG recording. In this abstract we proposed a new method to assess whether changes in the power spectral density (PSD) function of local field potential (LFP) are correlated with the BOLD signal using a single parameter that describes the relative distribution of activity across frequencies (the power scale exponent). The correlation maps obtained using the scaling exponent exhibit strong, localized correlations at the locations near the electrodes in some scans, similar to those obtained from the LFP power time course method. 14 Silent Simultaneous EEG-fMRI using Looping-Star. This work presents a novel technique for silent simultaneous EEG-fMRI, combined with a slow gradient switching fMRI method called Looping-Star. In comparison to the conventional setup with Gradient-Echo EPI, the silent technique improves the EEG quality while maintains fMRI quality characteristics. The inaudible scanning offers higher sensitivity to auditory stimuli, resulting in enhanced evoked response potentials (ERPs). The accuracy of fMRI-constrained EEG/MEG source imaging may be degraded by potential spatial mismatches between the locations of fMRI activation and electrical source activities. To address this problem, we propose a novel fMRI informed time-variant constraint (FITC) method. 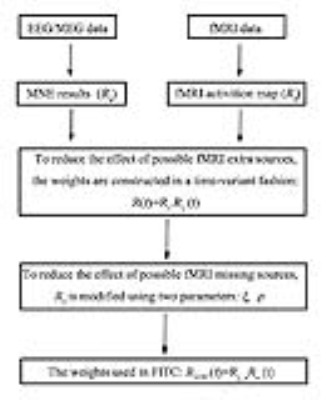 Simulations were performed to compare the source estimates produced by L2-minimum norm estimation (MNE), fMRI-weighted minimum norm estimation (fMNE), FITC and depth-weighted FITC (wFITC) algorithms with various spatial mismatch conditions. 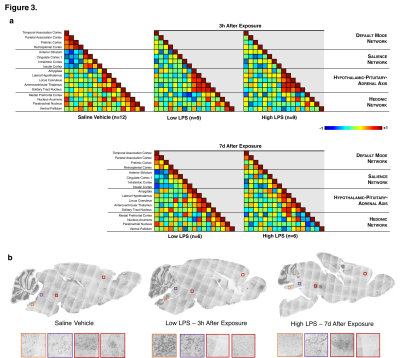 In conclusion, the proposed FITC method is able to better resolve the spatial mismatch problems encountered in fMRI-constrained EEG/MEG source imaging. 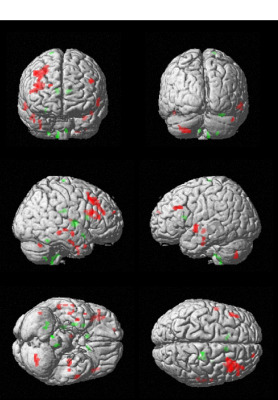 As the most commonly used fMRI technique for human brain study, BOLD functional MRI is not detecting neuronal activity directly and the mechanism is not clear. Here we demonstrate, for the first time, to directly explore the relationship between the regional DA neurotransmitter release and the co-localized BOLD signaling in vivo by combing molecular – level dopamine-sensitive MRI technique and BOLD fMRI. Our result demonstrated nonlinear and spatially-heterogeneity relationships between neurotransmitter activity and the hemodynamic responses in the same region. We expect the result will facilitate a better understanding and explanation of human fMRI results. By using Blood oxygen level dependent (BOLD) magnetic resonance imaging (MRI) method with hand-related pictures and sound stimulating on Autism Spectrum Disorder (ASD) children, the difference was found in the border of temporal lobe and occipital lobe in ASD and NC contrast. And these findings may help guide the precise intervention or treatment in ASD. Hyperacusis is a common hearing disorder with reduced loudness perception tolerance and hypersensitivity to ordinary environmental sounds, often co-exist with hearing loss and tinnitus. 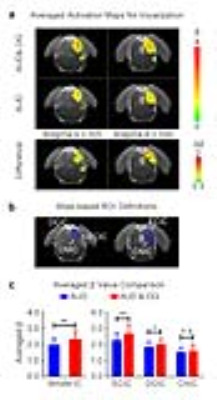 Hyperacusis and hearing loss are often associated with accelerated cognition decline and affection disorders.This study aimed to utilize behavioral and fMRI techniques in combination with Granger causality analysis to investigate dynamic functional connectome remodeling in hyperacusis and hearing loss rat models which could be the neural mechanisms of cognition and emotion deficits . This study aimed to determine the feasibility of using BOLD MRI to diagnose liver ischemia-reperfusion injury and the effect of Lipo-PGE1 intervention in rabbits. Seven groups of rabbits with liver ischemia-reperfusion injury induced using various means were examined using a 3T clinical MR scanner and followed by biochemical and histopathological analysis. The R2* values were significantly positively correlated with alanine aminotransferase, aspartate aminotransferase, and lactate dehydrogenase. These results suggest that BOLD MRI is suitable for quantitatively assessing the degree of ischemia and the effect of Lipo-PGE1 in rabbits. fMRI is the gold standard of human functional brain imaging, although functional near-infrared spectroscopy (fNIRS) is easier to administer and lower in cost. Therefore studies have tried to compare the two techniques. However results have been variable, partly due to only rough spatial correspondence between fMRI and fNIRS, and systemic physiological noise influences. In the current study we use a previously described multimodal fNIRS/fMRI probe with optodes directly integrated into the coil structure. We characterize the spatial and temporal overlap between task-evoked fMRI and fNIRS signal, as well as their systemic physiological influences with high spatial and temporal correspondence. Since ketamine has been found to act antidepressant, NMDA receptor antagonists are investigated regarding their potential use in therapy of depression. In this study we investigated the effects of traxoprodil and lanicemine on resting state functional connectivity in the rat brain. 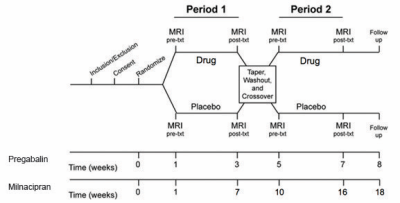 Both drugs significantly altered hippocampal-prefrontal (Hc-PFC) connectivity with more pronounced effect of traxoprodil. 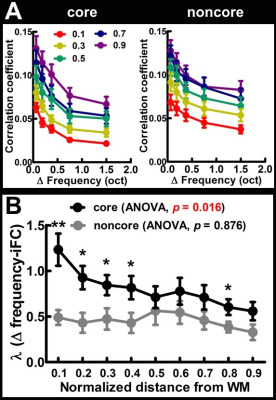 Interestingly the pronounced effects on intra PFC connectivity found in a previous ketamine study could not be observed. Traxoprodil also reduced whole brain network segregation. HC-PFC connectivity appears to be a promising target for further investigation of NMDA receptor antagonists and their antidepressant effects. Simultaneous EEG-fMRI benefits from the two modalities’ high-temporal and high-spatial resolutions. However, the MRI environment can cause artefacts in EEG signal, as movement of the EEG equipment causes artefactual voltages. 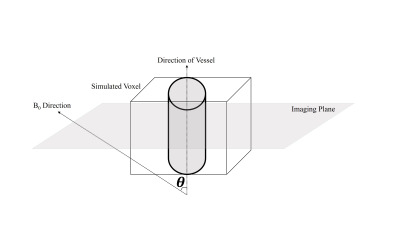 This work investigated configurations of the EEG equipment (in-bore ‘sled’ v ‘cantilever’) in terms of their artefact reduction; in particular relating to vibrations from the scanner’s helium cooling pump. We found vibration artefacts were broadly similar between the two configurations but the sled significantly reduced raw gradient artefact while increasing helium pump artefact. The helium pump needs to be turned off for highest recording quality in either configuration. Heart failure (HF) patients show inability to regulate heart rate and blood pressure in response to autonomic challenge. Using BOLD-fMRI and DTI-MD procedures, we found that functional MRI responses during the Valsalva maneuver in cerebellum and insular are delayed or reduced in amplitude, and comparable areas showed structural injury in HF subjects. 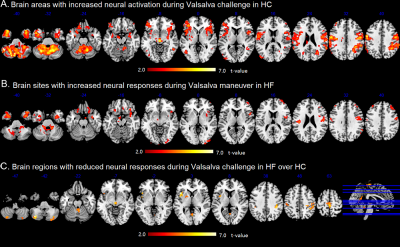 These findings show that impaired functional responses during the Valsalva maneuver have brain structural basis in HF condition. The equivalency of brain responses in fMRI studies of Parkinson’s disease (PD) patients studied in monopolar and bipolar deep brain stimulation (DBS) configurations was assessed. 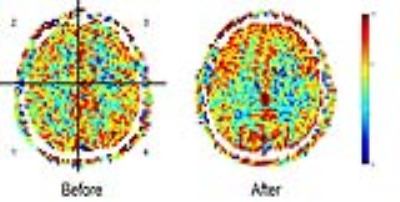 Five PD patients underwent 30s/30s ON/OFF DBS fMRI scans using their clinical (monopolar) settings and an equivalent bipolar setting, in which the cathode remained unchanged, and a proximal electrode was rendered positive; the voltage was increased by 30% to compensate for the reduced efficacy of the bipolar setting. Monopolar and bipolar configurations resulted in different patterns of brain activation; blind monopolar-bipolar conversion should be avoided for purposes of understanding mechanisms of DBS action. Glutamate is hypothesized to be the neurotransmitter in mediating BOLD fMRI. In our study, face-name paired-associates (FN-PA) encoding and retrieval tasks are used to investigate the relationship between glutamate and the BOLD signal changes in 72 healthy adults of varying age. Our results showed that [Glx]abs in the left hippocampus to be significantly positively correlated with the activations in the memory-related circuitry obtained from the FN-PA encoding and retrieval tasks. This might implicate the role of glutamate as the neurotransmitter mediating the BOLD signal changes in the memory tasks. Ocular and visual disorders has been reported in Parkinson’s Disease (PD). 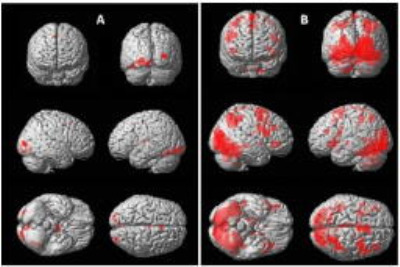 BOLD activation was mapped during visual color hue discrimination stimuli in PD (n=10, mean age=59 years, SD=6.8) and healthy control (HC) (n=6, mean age=53.67 years, SD=2.6) participants at 3 T MR scanner. Comparison between the two groups revealed lower activation in secondary visual areas (BA 18/19) and fusiform gyrus (BA 37), more dependence on memory areas and increased cluster size in PD (in comparison with HC) suggesting impairment in colour hue processing. To explore associations between cerebral blood flow (CBF) and depression by using arterial spin labeled MRI (ASL). Voxel-wise based comparisons between sudden sensorineural hearing loss (SSHL) patients and controls were investigated by whole-brain analysis, which might reflect a new insight into SSHL-related dysregulation and treatment target for psychological abnormalities. Previous studies of clinical patients indicate that kinetic oscillatory stimulation (KOS) in nasal cavity has a positive impact on the functioning of autonomic nervous system (ANS). 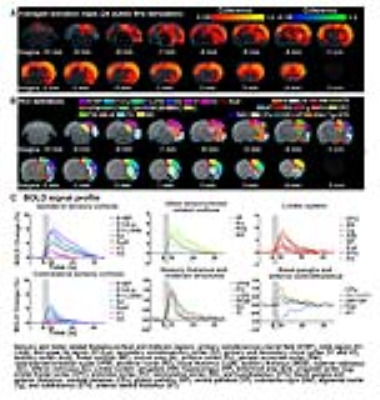 For better under standing of the mechanisms underlying this treatment efficacy, we used a 7T MRI system equipped with simultaneous multiple slice (SMS) imaging techniques to study the brain activation during a robust block design of KOS.The findings from the current study demonstrate that KOS is effective to induce regulatory response of the CNS control network. Preclinical fMRI is often performed under general anesthesia which may compromise the brain reactivity but also interfere with the central effect of test compounds. We hereby performed a comparison of Isoflurane and propofol anesthetic regimens in order to determine the compatibility of both compounds with hyperalgesia induced by capsaicin. Threshold to reach robust somatosensory activation seems to be increased under propofol anesthesia but pain related activation remained at 44 degrees using both anesthetics. Capsaicin induced significant T2* changes in both groups but mismatches were observed suggesting different pathways to be involved and therefore prevail further investigation. fMRI can be used to detect the functional areas of human brain in vivo, which is helpful for neurosurgeons to make accurate pre-surgical plans. Due to the individual differences of the brain, the topography of different functional areas will vary across subjects. The purpose of this study was to construct group functional probability maps of different functional areas based on a large database of normal subjects. It has the potential to help neurosurgeons to make accurate pre-surgical plans and to improve the functional outcome of patients after surgery. 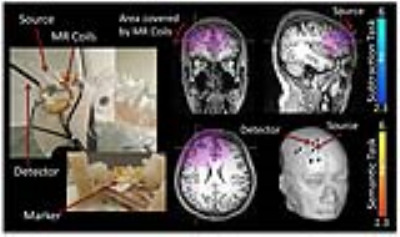 This study investigated brain functional abnormalities that are specifically related to working memory in amnestic mild cognitive impairment (aMCI) patients using fMRI in combination with an n-back task. Nineteen aMCI patients (aged, 52-78 years, 13 female) and 19 age-and gender-matched healthy adults participated in this experiment. In the task performance, aMCI group had lower accuracy on the 2-back task. The aMCI patients exhibited less areas of activation during performance of the 2-back vs. 0-back tasks, and more deactivation in the default mode network, compared with healthy group. The aMCI patients exhibited decreased activation in dorsolateral prefrontal cortex and supplementary motor cortex during the 2-back vs. 0-back tasks, compared with healthy group. Gaming involves coordination between attention, spatial processing and motor processes. In the present study, fMRI during an audio-video gaming paradigm was carried out in healthy participants (n=6, 2M, 4F, mean age=31.2 years and SD=5.58), in two sessions, with audio-only stimulus and audio-video stimuli. 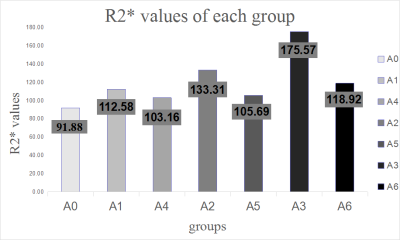 Data processing and inter-group comparison was done using spm12. The results suggest attention, cognitive control and learning processes during the audio-only task as compared to the audiovisual task. The hippocampus is a central hub of the brain with abundant connections to numerous remote structures. However, whether and how hippocampus interacts with the auditory subcortical regions remains unknown. The inferior colliculus (IC), the auditory midbrain, is the first station where the responses selectivity for vocalization is formed. In this auditory fMRI study, we revealed that IC responses to vocalization, but not broadband noise, could be enhanced by dorsal hippocampal inputs initiated optogenetically. Our findings indicate that hippocampus plays a role in midbrain processing of the behaviorally relevant sound, a phenomenon that was unknown previously. Obesity and overweight are common problems in developed world population, affecting to a greater number of children. In young people, it is becoming more usual to diagnose diabetes or heart problems due to fat accumulation. 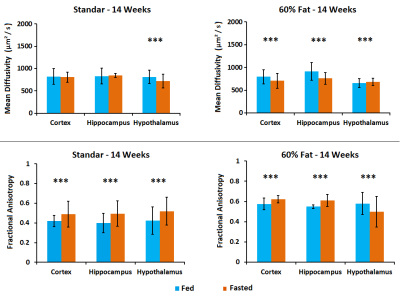 In this work, we wanted to assess the effects of a fat diet in the cerebral response to an appetite stimulus in mice. 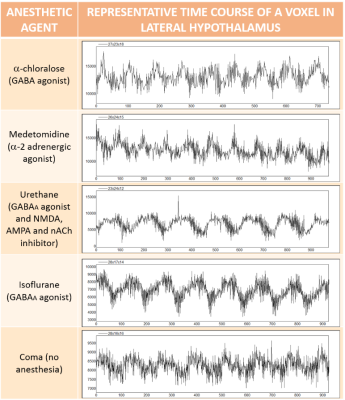 We evaluated changes in diffusion magnetic resonance imaging parameters and metabolomic profiles. 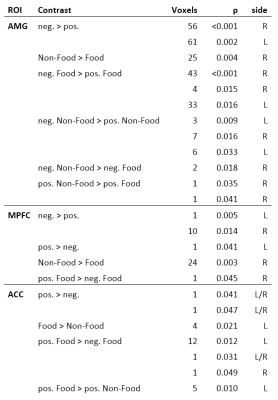 Our results suggest that high fat diet consumption causes alterations in the brain response to appetite that can be signaled by magnetic resonance approaches. Involuntary weight loss in patients with cancer is a common secondary effect in tumor pathologies being a cause of weakening and progression of the disease. This phenomenon causes cachexia that is estimated to be the direct cause of at least 20% of cancer deaths. In this line, untreated intracranial glioma-bearing mice develop cachexia, and the use of magnetic resonance imaging characterization of the cerebral response to different appetitive conditions can contribute to the better understanding of the cachectic status. For that, we employed functional diffusion MRI and metabolomic studies in a glioblastoma mouse model. Aquaporin-4 (AQP4) is the main water channel protein found in the brain. It is located at the end-feet of astrocytes allowing to maintain the ion and water balance. In our group, we previously employed functional diffusion magnetic resonance imaging to detect the swelling of astrocytes in response to appetite. In this line, we wanted to study the function of the AQP4 in the volume changes of these glial cells. For that, we administrated a glucose bolus and the aquaporin inhibitor TGN to assess the role of this protein in the brain response to a feeding stimulus. Most previous functional neuroimaging studies on swallowing were focused on investigating the cortical (and subcortical) representation of the swallowing functions in healthy individuals using task-related data. The present function magnetic resonance imaging (fMRI) study examine whether individuals with atypical and normal swallowing differ in brain activity patterns associated to the resting-state sensorimotor network. Our findings revealed that the individuals with normal swallowing showed stronger and broader patterns of activation than the individuals with atypical swallowing, particularly in the midcingulate cortex. These differences of activation patterns between the two groups may suggest that the midcingulate cortex is crucially involved in the coordination or/and integration of swallowing functions. It is unclear whether ASL test-retest reproducibility would be different between absolute CBF and relative task-induced CBF changes, and across resting and task scans. Here we scanned 15 healthy participants three times in a 5-day well-controlled study while participants were at rest and performing a simple vigilance task. Absolute CBF showed excellent test-retest reliability across three days, which were comparable to performance reliability. However, reliability of task-induced CBF changes were much lower than reliability of absolute CBF, suggesting that absolute CBF rather than relative CBF changes may be a more reliable brain function measurement for longitudinal and clinical studies. We explore the inter-subject correlated BOLD signal across subjects in the auditory cortex acorss cortical depth when listening to musical pieces. More synchronized brain activity was observed at intermediate cortical depths. Repeated listening caused variable modulations on the inter-subject correlated BOLD signal across songs and cortical depths. 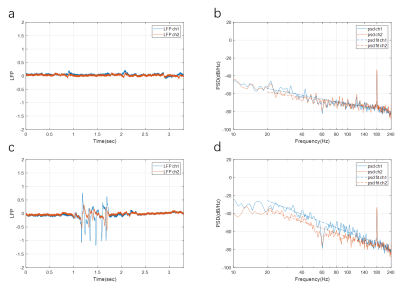 We obtain the exponent in the power law relation of the transverse relaxation rate and the susceptibility difference between vessels and tissue from first-principles calculations using our recently developed VAN model. We find that this exponent is close to 1, and is more uniformly distributed across regions at higher magnetic field strengths. The results from the uniform vascular partitioning relevant for BOLD fMRI are compared, and the exponent is closer to 1 for the latter. These help inform interpretation fo the physiological variables including CMRO2 and CBV from BOLD and contrast-enhanced fMRI respectively. The brain is a highly complex, interconnected structure with parallel and hierarchical networks distributed within and between neural systems. During information processing in the brain, spontaneous oscillatory neural events such as slow oscillations, spindles and sharp wave ripples provoke global dynamic patterns. We propose that spindle-like optogenetic stimulation can be employed to study global interaction patterns in long-range networks by stimulating the ventral posteromedial thalamus (VPM) thalamocortical excitatory neurons. To gain further insights into the mechanisms of deep network learning from the perspective of brain imaging, we compared spatio-temporal features of video segments extracted via a 3-dimensional convolutional network (3D ConvNets) with video representations in human brain characterized by functional MRI signal variation when viewing video segments. We found correlations between C3D features and fMRI signal variation in brain regions selectively activated by video segments after the optimization of time lag due to the hemodynamic response function (HRF). 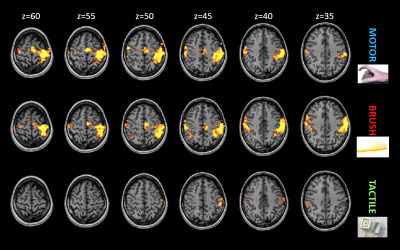 Distinct activation patterns were also revealed by functional MRI for video segments classified as different classes of activity. In contrast to the understanding of the visual and auditory functions, the understanding of the olfactory function in the human brain is less advanced. Because the regions involved in olfaction are prone to signal losses due to strong magnetic field inhomogeneity in the susceptibility boundary between air in the paranasal sinuses and brain tissues, a study of olfaction using functional MRI (fMRI) is challenging, especially at ultra-high magnetic field strength (UHF). In this study, we investigated the role of olfactory fMRI with high spatial resolution at 7T involving the ventral brain area. We found that the brain activations are reproducible within and between subjects. These results suggested that fMRI with high spatial resolution at UHF has the potential for use in olfaction studies, also involving the ventral brain regions. Difficulties to separate sensory and motor activations in fMRI studies limited the potentialities of the technique to study mechanisms of plasticity and processes of re-organization occurring in primary somatosensory area after brain lesions. Here we present the results of the use of a tactile stimulus developed ad hoc to investigate this area at different magnetic fields. The tactile stimulator is able to activate selectively a specific area in post-central region at 3T and 7T, and thanks to its safety and handiness it seems a useful tool to study (re-)organization processes in patients with brain lesion. 47 The alexithymic trait is reflected in emotional processing in subjects below the threshold of alexithymic disorder. Alexithymia is a disorder linked to altered brain processing of emotions and to other disorders and substance abuse. In sub-disorder range, alexithymia can be considered a personality trait. In this paper, we first characterize the fMRI results of emotion induction in non-alexithymic subjects, and then explore the correlation between brain activation in amygdala, anterior cingulate cortex and prefrontal cortex; and the degree of the alexithymic trait assessed by TAS-20 questionnaire. As conclusion, the alexithymic trait seems to be reflected in emotional processing already in subjects well below the threshold of alexithymia disorder. The mechanisms of chronic pain and its response to pharmacological treatment remains an open challenge. Multivariate pattern analysis can offer an alternative to standard analysis techniques. This study applies SVM classification in resting-state fMRI data to predict improvements in clinical pain after drug therapy. Exercise is a potent trigger for both neurogenesis and vascular plasticity yet the underlying temporal dynamics are not known. We aimed to test whether a single 20-minute bout of aerobic exercise was sufficient to induce changes in cerebrovascular reactivity (CVR) to carbon dioxide in young healthy adults using a dual-echo pulsed ASL sequence with a hypercapnia challenge. 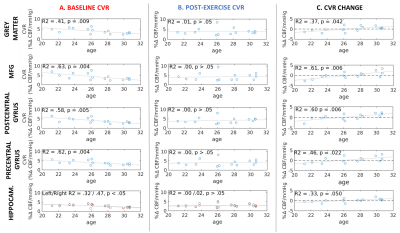 We show that age modulates the change in CVR following exercise, and strongly predicts baseline CVR, independent of resting physiology and fitness. Our findings motivate the further exploration of the role of age in exercise-induced vascular plasticity. Cerebrovascular reactivity (CVR) is decreased in aging and disease, and is thought to reflect vascular health in the brain. Here, we explore the relationship between grey matter volume (GMV) and CVR in healthy younger and older adults. Results show that this relationship is more complex than previously thought, with a positive relationship between CVR and GMV when GMV is low, but a negative relationship at high GMVs both in younger and older adults. Future analyses will explore the role of cerebral blood flow in this relationship. We investigate the effect of a general resting state of 40mmHg CO2 as compared to a physiological resting state on BOLD fMRI cerebrovascular reactivity and task based finger-tapping measurements in healthy subjects. We found that BOLD CVR and fMRI activation are significantly lower when measured at a set ‘‘isocapnic’’ baseline then at the physiological resting CO2. Our second finding is that fMRI signal changes significantly correlates to CVR and both measurements are similarly affected. 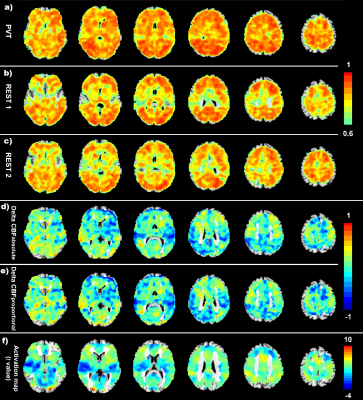 To probe a potential physiological mechanism behind reported BOLD fMRI signals in white matter (WM), we compared pulse-oximetry signals measured from finger-tip photo-plethysmography (PPG) with fMRI signals recorded simultaneously during an overnight sleep study. Intermittent amplitude (AMP) drops were observed during which WM signal increased and grey matter signal decreased. These findings point to a systemic vascular contribution to WM fMRI signals, driven by AMP drops, and possibly linked to fluctuations in arousal state. 5 Spin Echo measurement of oxygen BOLD reactivity - A simple method for mapping functional capillary blood volume? A simple non-invasive method is presented for the mapping of functional cerebral capillary blood volume. 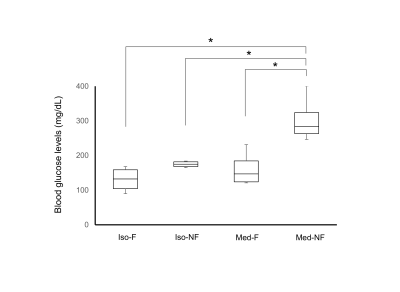 Functional capillary blood volume is a potentially powerful biomarker that is highly correlated with the average rate of glucose metabolism in the tissue. In-vivo maps of capillary blood volume are shown to be highly correlated with resting CBF in healthy volunteers and can be easily acquired within a few minutes with standard MR imaging sequences. The temporal behavior of the BOLD response can vary considerably between nodes within sensory circuits as well as across different modalities. Understanding the nature of these variations could provide more information about the factors that shape the hemodynamic response. 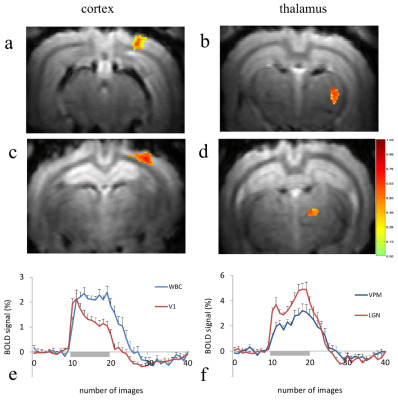 In this work fMRI data were acquired from both thalamic and cortical regions of the visual and somatosensory systems during prolonged sensory stimulation. Our findings show that while the thalamic BOLD responses for both circuits were quite similar, the cortical responses showed different adaptive behavior, which may reflect underlying regional differences in the contributions of local excitatory/inhibitory processes. 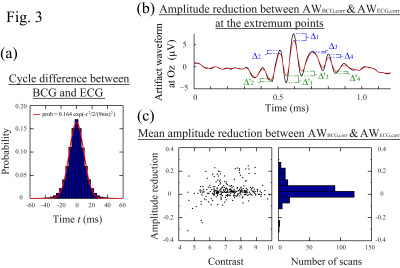 A high amplitude slow wave component of frequency 0.005 to 0.012 Hz was observed in multiple resting state fMRI scans of the rat brain under different anesthetics. These ultra-slow waves were localized predominantly in the hypothalamus. We hypothesize that these ultra-slow oscillations might have a neurological origin and may contribute to the analysis of resting state connectivity, which is currently limited to frequencies above 0.01 Hz . Future studies should investigate the origin of these oscillations with an independent measure (e.g. 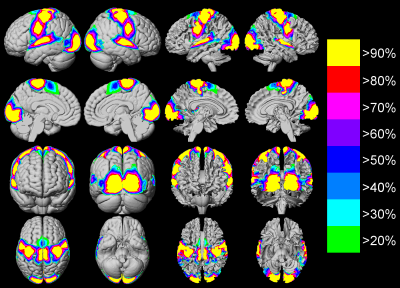 calcium imaging) and the implications of their incorporation into the analysis of rs-fMRI. Stress has been associated with autonomic arousal as well as functional alterations in frontal and limbic regions which are important in the regulation of autonomic activity. Latter can be indexed by heart rate variability (HRV). In the present pilot study simultaneous BOLD fMRI and HRV were measured during the performance of a stress test. 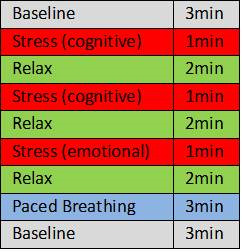 In three healthy subjects stress, relaxation and paced breathing were associated with frontal and limbic activation. More subjects need to be measured in order to strengthen the results and to integrate them as neural markers in an integrative and multilevel model of stress. Neuronal laminar information reflected in high-resolution fMRI is reduced due to ascending veins, carrying hemodynamic changes from various cortical depths to surface draining veins. Here, we propose an invertible generative hemodynamic model, which takes the effect of ascending veins to the laminar-specific fMRI signal explicitly into account. We illustrate the versatility of this novel model to characterize common experimental observations in laminar fMRI: we show that the spatial increase of laminar fMRI towards CSF is due to baseline blood volume. In contrast, a peak in the middle layer is due to higher neuronal activity rather than higher baseline blood volume. 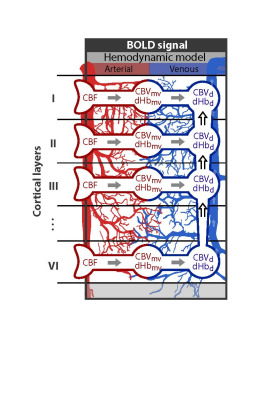 Cerebrovascular reactivity (CVR) provides clinical insight into vascular health and is useful for identifying cortical regions affected by neurovascular uncoupling (NVU). BOLD imaging using breath-hold (BH) tasks can be effectively used for CVR mapping. At 7T, spatial specificity can be improved relative to standard 3T imaging, but optimization of CVR maps is often problematic. 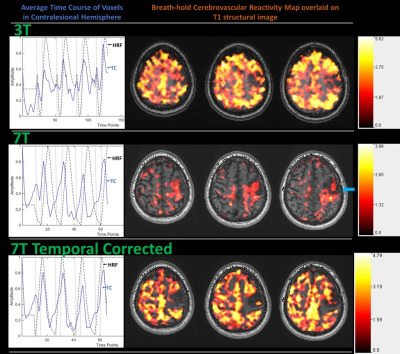 We propose temporal correction of the theoretical hemodynamic response function (HRF) to account for subject-wise temporal adjustment of the average respiration-induced hemodynamic response to a BH task to optimize 7T BH CVR maps in cases of poor patient task compliance. BOLD fMRI, which is an indirect measure of neuronal activity, involves several seconds offset in both initiation and cessation of the microvascular response with respect to actual timing of neural activity. In this study, we propose resampling of the canonical hemodynamic response function (HRF) to account for subject-wise temporal variability in BOLD responses in task paradigms. We demonstrate that temporal resampling of the canonical HRF may allow recapturing of lost signals in motor task activation maps (task fMRI). Further, it can also mitigate the effects of neurovascular uncoupling (NVU) in the sensorimotor network in patients with perirolandic gliomas. False-negative activations caused by neurovascular uncoupling (NVU) can lead to erroneous interpretation of clinical BOLD fMRI examinations. At 7T, spatial specificity can be improved relative to clinical 3T imaging. 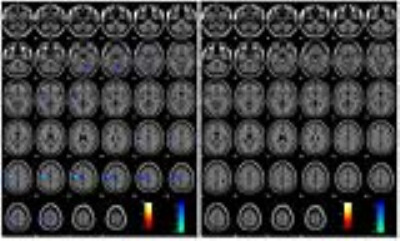 In this study, we demonstrate that NVU within the language network may affect the resting-state (rsfMRI) frequency domain metric ALFF (amplitude of low-frequency fluctuation) and breathhold cerebrovascular reactivity (BH CVR) maps as evident in the criterion standard task fMRI at ultra-high field despite known substantial BOLD signal-to-noise ratio advantages provided by higher field strength, which may not fully mitigate the effects of such NVU. 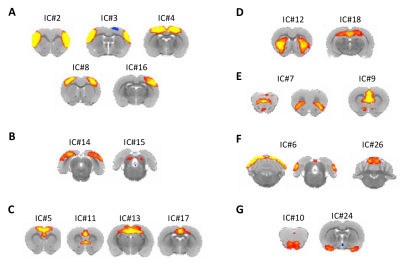 This study investigates the functional connectivity (FC) of medial prefrontal cortex (mPFC) within default mode network (DMN) and the ratio of Glutamate+Glutamine/Creatine (Glx/Cr) in male methamphetamine-dependent subjects (MADs). We combined functional magnetic resonance imaging and magnetic resonance spectroscopy to investigate the altered FC and its relation with ratio of Glx/Cr in 54 male MADs and 52 healthy male controls. We found increased FC of mPFC with left posterior cingulate cortex and the ratio of Glx/Cr and their negative relation in male MADs. Our results may help with investigation of MADs pathophysiology. 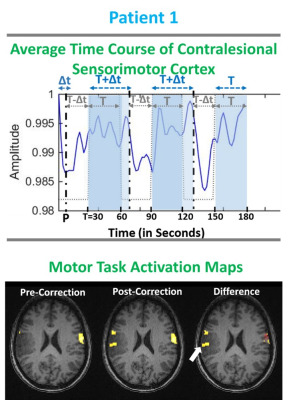 A key aspect governing spatio-temporal activity patterns in fMRI is the brain state, particularly in animals being imaged mostly during sedation or anesthesia. Two main brain states have been recently identified in rodents, a persistent state similar to awake conditions, and a slow wave state characterized by spontaneous slow oscillation-associated slow wave activity. We analyzed the brain functional connectivity using spontaneous BOLD recordings in rats during these different states. We found that both states lead to differential functional connectivity patterns that can be clearly dissociated. These results are crucial for interpreting rodent studies in the framework of translational resting state research. A simultaneous acquisition of VASO, ASL and BOLD signals was employed to measure relative functional changes induced by a block-designed, black-and-white checkerboard visual task containing three stimulus frequencies and two oxygen-level conditions. We report that 1) δCBV, δCBF and δBOLD increase along with visual stimulus frequencies for both oxygen-level conditions; 2) δBOLD, but not δCBV or δCBF, acquired under hypoxia condition is significantly lower than that acquired under normoxia condition for all the three stimulus frequencies. According to Fick’s principle, our results predict increases of oxygen consumption rate among various stimulus frequencies during hypoxia. We investigate the dependence of high frequency signal changes on decreases in global blood flow using hyperventilation induced hypocapnia, which substantially alter the amplitude and time course of the hemodynamic response function (HRF) with only minor changes in neural activation levels. 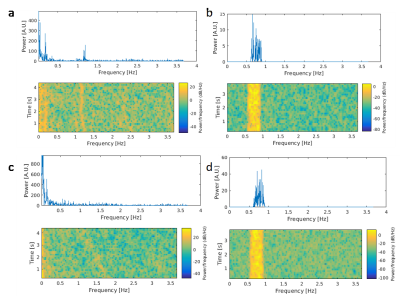 We also investigate the sensitivity of multi-band-EPI and a prototype ultra-high-speed multi-band-EVI (MB-EVI) sequence for detecting high frequency correlations. In the first subject, an increase in high frequency correlations during hypocapnia was detected in MB-EPI and MB-EVI. These studies suggest that high frequency signals changes may be mediated by vascular physiology, but movement related artifacts cannot be excluded. Crossed cerebellar diaschisis (CCD) is the phenomenon of a decreased cerebellar perfusion and glucose metabolism in the cerebellar hemisphere contralateral to a supratentorial cerebral lesion. Although mostly seen in cerebral infarct, CCD has been reported in other clinical conditions such as intracerebral hemorrhage. 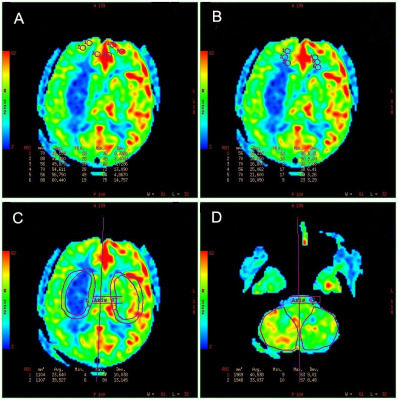 Recently findings suggested that CCD is not just a neuroradiological phenomenon, arterial spin-labeling (ASL) is a novel noninvasive MRI method that uses arterial water as an endogenous tracer for perfusion imaging. 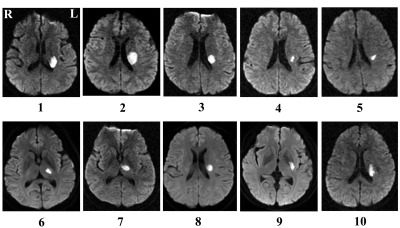 The purpose of this study were to evaluate the value of 3D pCASL to detect CCD in different stage of ICH and to identify the relevant imaging or clinical factors of CCD development. The effects of caffeine on BOLD responses are still controversial. The potential explanation to this discrepancy may be associated with different dietary caffeine consumption among subjects. Here, we test the effect of caffeine on BOLD responses by using the caffeine-naïve animals. By reducing the baseline cerebral blood flow and therefore increasing the baseline deoxygenation concentration, caffeine significantly enhanced the magnitude of BOLD responses to the electrical whisker pad stimulation. These findings may suggest that caffeine-naïve animals could be a potential model to shed more light on effects of caffeine on BOLD fMRI measurements. We derived and verified an equation for the theoretical description of longitudinal magnetization for pass- and transition-band bSSFP at steady state. 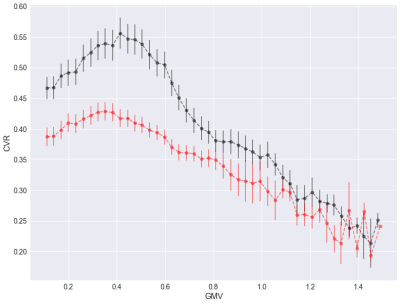 In addition, we show evidence that a DANTE (b-SSFP) preparation module may be employed with an EPI readout to increase negative BOLD response by 12.8% in average (p<0.03) compared to conventional EPI (GE-EPI). The S2-SSFP echo (the echo before the RF pulse in non-balanced SSFP sequences, or F-0, PSIF, CE-FAST, T2-FFE) is a refocused echo and has thus been proposed for BOLD imaging to suppress larger vessels, similar to the classical spin echo. Here we demonstrate in Monte Carlo simulations that the primary S1-SSFP gradient echo shows nearly identical properties as the S2-SSFP echo. Both echoes of this non-balanced SSFP sequence can be used for BOLD imaging exhibiting a pure spin echo behavior, i.e suppression of larger vessels. To characterize the hemodynamic responses of mismatch negativity, we measured BOLD signals elicited by frequent and infrequent sequences of sounds using fast fMRI acquisitions with 0.1 s precision. The average temporal width of the hemodynamic responses was 4.2 s in the superior temporal areas. The width of hemodynamic responses was significantly wider in the standard (4.9 s +/- 1.1 s) than the deviant trials (3.6 s +/- 1.7 s). Several explanations for the existence of anti-correlations in rsfMRI have been suggested so far, ranging from true neural activity to a side effect of preprocessing. In this abstract, we investigate the possible vascular origins of anti-correlation by presenting a biophysical model that is inspired by past simulation studies. Our model suggests resting-state BOLD anti-correlations across voxels may arise simply from the physiological and magnetic properties of arterial and venous blood, and may not be solely due to anti-correlated neural activity. While the origin of negative BOLD response in fMRI has been debated, we present an explanatory biophysical model that accounts for imaging and physiological parameters, including vascular-orientation, CBV change, TR, TE, inflow and even different oxygenation levels in arterial and venous compartments. 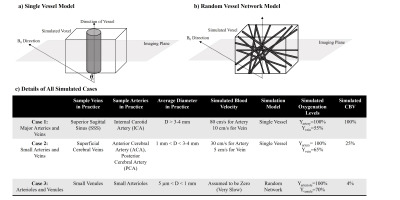 This model shows that it is possible for negative BOLD to arise from both arterial and venous sources even in the presence of neural-activity increase. This abstract suggests part of the negative BOLD response originates simply from the vascular origin of the signal. Glucose transporter 2 (Glut2)-positive cells are sparsely distributed in brain and play an important role in the stimulation of glucagon secretion in response to hypoglycemia. The effect on CBF of optogenetic activation of hypoglycemia responsive Glut2-positive neurons of the paraventricular thalamic area was measured in mice expressing channelrhodopsin2 under the control of the Glut2 promoter. Optogenetic activation of Glut2-positive neurons in the paraventricular thalamic nucleus induced a local CBF change similar in magnitude to the effect of hypoglycemia. 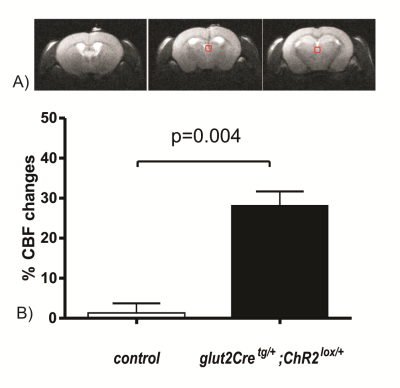 Thus, our data indicate that brain Glut2-positive neurons are key regulators of hypoglycemia-induced activation of CBF. Our recent study demonstrated that low frequency optogenetically-initiated hippocampal activities enhances brain-wide resting-state fMRI connectivity. However, the behavioral consequence of such connectivity enhancement remains unknown. 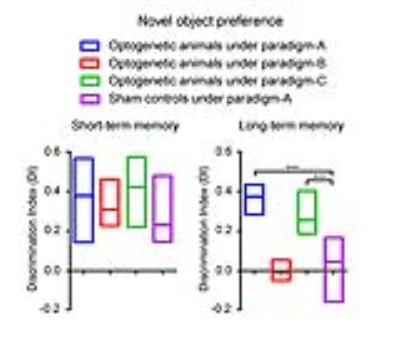 Since hippocampus is known to play a prominent role in memory, we assessed the effects of such connectivity enhancement on short-term and long-term memory. Our experimental results demonstrated that, while low frequency dorsal hippocampus stimulation enhanced interhemispheric fMRI connectivity (in hippocampus, V1, A1 and S1), it also improved the long-term visual memory by enhancing memory retrieval (in contrast to memory encoding) performance. 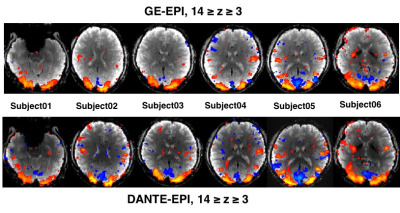 The present resting-state fMRI study performed structural equation modeling to evaluate intrinsic effective connectivity (iEC) within the Papez circuit in patients with unilateral temporal lobe epilepsy with mesial temporal sclerosis (TLE-MTS). Left TLE-MTS is characterized by decreased iEC on the left frontotemporal path, which might be associated with deficits in executive functions and working memory. Right TLE-MTS is characterized by decreased iEC on the paths in the right posterior limbic regions, which might be associated with deficits in autobiographical memory processing. Our findings might facilitate identifying potential epileptic network pathways and developing novel targeted therapies for unilateral TLE-MTS. Linking the anatomy of neuronal connections to brain function is fundamental to our understanding of how brain architecture underpins human cognition. In this work, we hypothesized that the microstructural features of a white matter pathway relate to functional connectivity between the brain regions it connects. 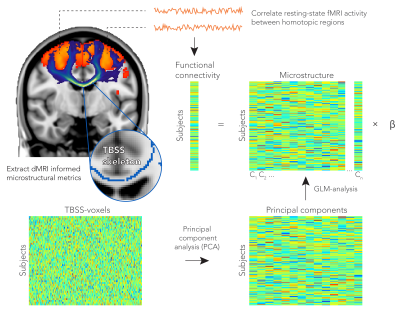 In a large cohort of subjects from UK Biobank, we demonstrate that the functional connectivity of homotopic brain regions from the two hemispheres can be predicted from the microstructure of the tract that connects them. The serotonergic neurotransmitter system is thought to play a substantial role in modulating the default mode network (DMN). For example, antidepressants (SSRIs) have consistently shown to decrease DMN connectivity. However, it is unclear whether SSRIs also dose-dependently affect DMN connectivity. Therefore, we investigated the association between SERT occupancy by SSRIs (SPECT) and DMN functional connectivity (rs-fMRI). We confirm a dose-dependent effect of SSRIs on connectivity with the DMN; higher SERT occupancy by the SSRI in the thalamus was significantly associated with decreased DMN connectivity. 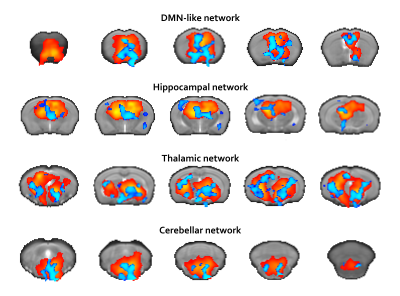 This suggests that DMN connectivity might be interesting biomarker, e.g. for treatment monitoring. 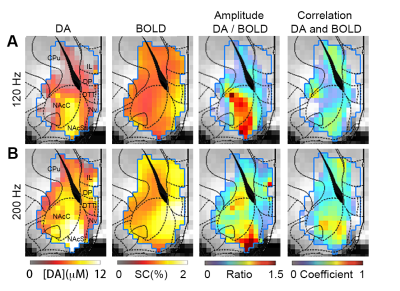 This study revealed the frequency preference as well as tuning width dependent intrinsic functional connectivity (iFC) within and across cortical depths in the human auditory cortex. We demonstrated that both the within-depth and cross-depth feature dependent iFC have a higher selectivity in the core than noncore region as we moved from superficial to deep cortical depths. We also found that the selectivity of cross-depth feature dependent iFC decreases when two cortical depths were farther away from each other. Taken together, our findings provide the direct evidence of a cortical depth specific feature dependent iFC in the human auditory cortex. In order to identify dynamic evolution model of functional reorganization in stroke patients during recovery process based on the large-scale brain network, eleven meaningful RSNs derived from resting-state data across four consecutive time points within six months in subcortical infarction stroke patients and healthy controls groups were identified using independent component analysis. 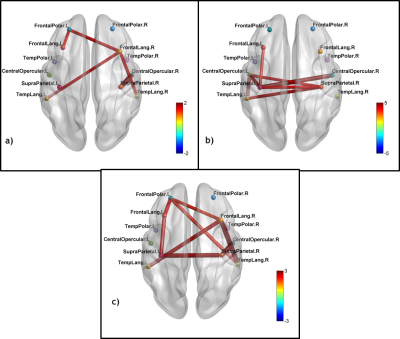 The results revealed that stroke patients exhibited significantly dynamic functional connectivity changes in the right superior parietal lobule of the dorsal attention network and the cuneus of medial visual networks. 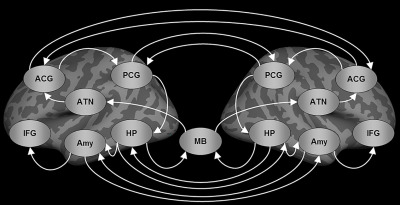 Note that functional connectivity to some meaningful brain networks demonstrated consistent alterations over time. The findings may reflect the adaptive reorganization of the functional network in stroke patients. 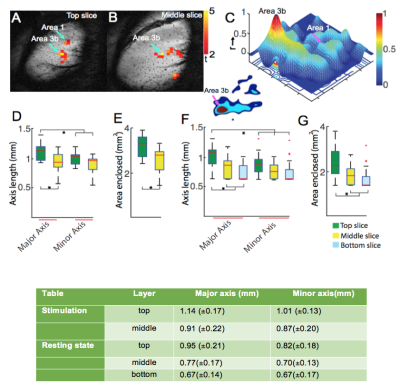 FMRI at high spatial resolution is capable of resolving signals from different cortical layers providing the ability to examine local inter-layer information processing. In this study, we quantified the spatial profiles of BOLD fMRI activations and the point spread functions (PSF) of resting state correlations within layers. We found significantly broader extent of stimulus-evoked activity and resting state correlation profiles in the top layer than those in middle and lower layers. These differences may reflect differences in vasculature or neural activity between the layers. It has been suggested that hippocampal subfields show functional specialization. Resting-state functional MRI studies have improved our understanding of brain function. Using rs-fMRI, we examined the possibility of segmenting the hippocampal subfields at 7T and assessed the functional correlations between the hippocampal subfields with other cortical regions. This method was tested in both healthy controls and temporal lobe epilepsy patients. Only small differences in functional connectivity between healthy controls and epilepsy patients were found. 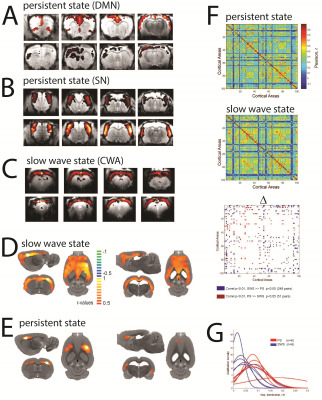 This study demonstrated the potential of assessing the resting-state functional connectivity of the hippocampal subfields with other regions of interest in the cortex. Converging evidence supports the hypothesis that human auditory cortex (AC) follows the core-belt-parabelt organization found in non-human primates. 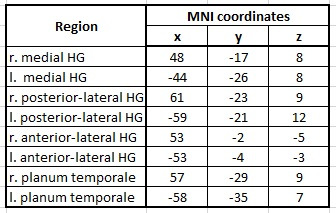 In the study presented here, we assessed the functional connectivity of the core (medial Heschl’s gyrus, mHG), belt (posterior-lateral HG, plHG) and parabelt subfields (anterior-lateral HG, alHG and planum temporale, PT) by applying resting state functional connectivity MRI (fcMRI) on a cohort of 84 musicians. Assessing inter-hemispheric connectivity, we found significant differences between right and left plHG as well as in right and left PT. The contrast between the different subfields revealed highly differentiated neuronal networks, especially between mHG and plHG. 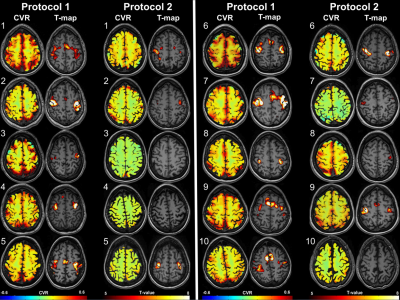 Diffusion fMRI (DfMRI) is a powerful functional imaging method to investigate neural activity and network without BOLD confounding hemodynamic effects. 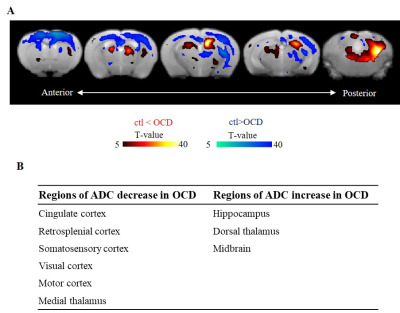 In this study, we applied DfMRI to evaluate brain activity and network of neuropsychiatric disease model, obsessive–compulsive disorder (OCD). 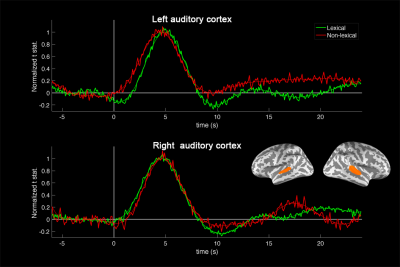 Our DfMRI study revealed that the cortex was excited and the hippocampus was inhibited. 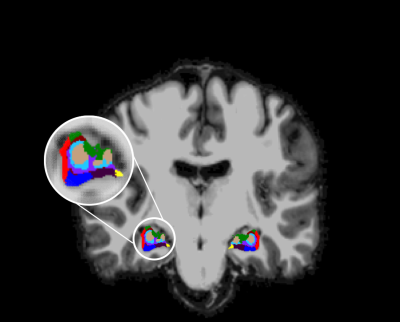 Functional connectivity analysis of DfMRI detected alterations of cortico-striatal-thalamic networks, in line with the previous study with OCD patients. Additionally, we found that interesting network alterations of the hippocampal networks in this OCD model mice. Crohn’s disease (CD) is a chronic inflammatory disorder that commonly affects the small intestine and is a phenotype of inflammatory bowel disease (IBD). Several studies have reported changes in cortical thickness and neurologic deficits in patients with IBD. 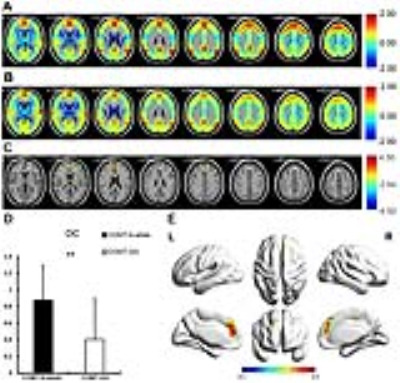 Here we report alterations in resting state functional MRI connectivity in patients in CD in remission compared to healthy controls, specifically in the executive control and default mode networks. Alterations in resting state functional connectivity in patients with CD may explain some of the mechanisms underlying the development and progression of CD and associated deficits in cognitive and affective functioning. Heroin addiction is increasingly severe in China. Protracted abstinence is commonly used in China. However the effect of protracted abstinence treatment on brain function of heroin dependent patients remains unclear. Previous studies have demonstrated that resting state functional connectivity and amplitude of low frequency fluctuation (ALFF)is useful for studying function of brain.Using the above methods, we found that that prolonged abstinent duration is conducive to function restoring of brain network in heroin-dependent patients, which may be useful to reduce the risk of relapse of heroin addicts. Transcranial magnetic stimulation produces a noninvasive stimulation that excites or inhibits regions of the brain. Theta burst stimulation(TBS), has been considered the most efficient protocol. The impact of TBS on brain perfusion and intrinsic functional connectivity networks of human brains has not been systematically evaluated. 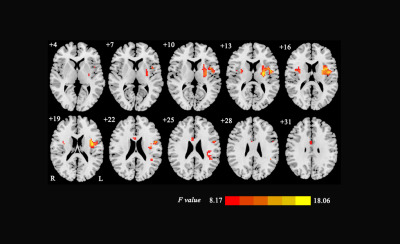 Perfusion values were measured with pCASL and resting state fMRI was performed to compare connectivity networks using seed based analysis and matrix based analysis. Perfusion was measured as increased after iTBS. Analysis of seed based data generated from the left dorsolateral prefrontal cortex showed connectivity network changes before and after TBS. We investigate the alteration of resting-state functional connectivity across the brain following self-administration of cocaine in the rat. The result of group-independent component analysis (ICA) and dual regression reveals that cocaine self-administration orchestrates dynamic shifts in co-activity and functional connectivity across resting-state neuronal networks and nodes, several of which that do not directly receive dopamine input. Specific biomarker reflecting its neurobiological substrates is required for diagnosis and treatment selection of schizophrenia (SZ). 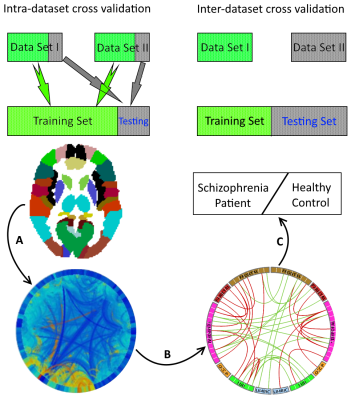 We aimed to develop and validate a method of disease definition for SZ by resting-state functional connectivity using radiomics strategy in two data sets. 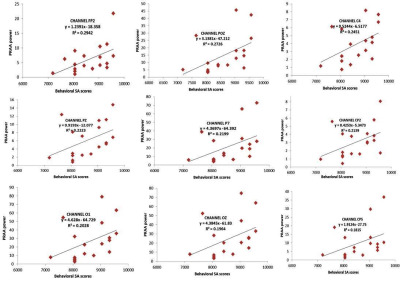 The accuracy was 87.09% for diagnosing SZ patients by applying functional connectivity features, with a validation in the independent replication data set (accuracy = 82.61%). Our findings demonstrate a valid radiomics approach by functional connectivity to diagnose SZ, which is helpful to facilitate objective SZ individualized diagnosis using quantitative and specific functional connectivity biomarker in different sites. Differentiating between acute and chronic neuroinflammation could improve clinical diagnoses of Alzheimer's disease, multiple sclerosis, and Parkinson's disease as well as disorders with no established clinical diagnostic methods such as Chronic Traumatic Encephalopathy and Chronic Fatigue Syndrom. This study implements mouse models of acute and chronic neuroinflammation to examine how neuroinflammation alter fcMRI in awake mice. 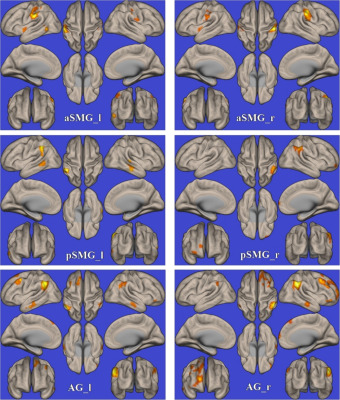 41 Functional Connectivity changes during Real-time fMRI based Neuro-rehabilitation of post-stroke Aphasic Patients. Sujesh Sreedharan, Arun K. M., Sylaja P. N., Ranaganatha Sitaram, Kesavadas C.
Recovery from stroke to lead an improved life is one of the most sought after rehabilitation programs around the globe. Various factors are involved in the process of restoration of an impaired function. 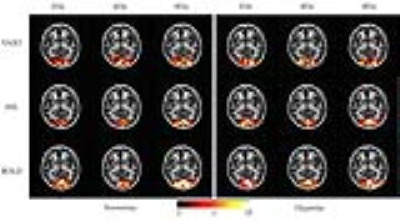 The study examined the functional network disruption due to stroke and the network changes happening during the real-time fMRI based neurofeedback training for aphasic stroke survivors to retrain the language areas. The results show that though the contralateral hemisphere for test group has strong connections when compared with controls, and with training the ipsilateral connections are strengthened and are recovering through alternate connections. To date fMRI studies on Amyotrophic Lateral Sclerosis (ALS) patients are still inconsistent. Here, we performed a rs-fMRI study on a pre-clinical model of ALS with the aim to identify biomarkers at functional level, defining an experimental platform useful for the evaluation of disease progression and therapies development. 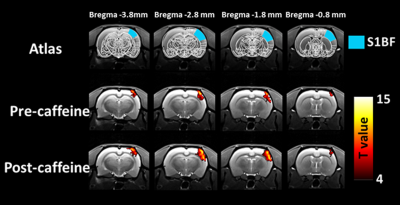 rs-fMRI was performed in SOD1(G93A) and WT mice using a 4.7T tomograph and an EPI sequence. Our results showed increased functional connectivity in SOD1(G93A) mice at the end-stage of disease. In this work, we defined a functional testbed for ALS animal model and demonstrated the feasibility of rs-fMRI in mice at 4.7T. 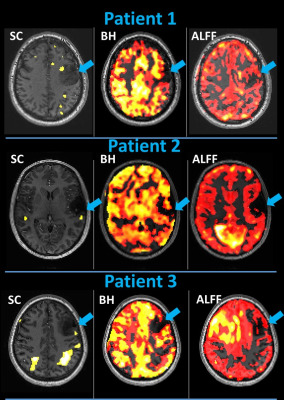 We performed a seed-based Resting-State fMRI analysis in Friedreich’s Ataxia (FRDA) patients to assess possible brain functional connectivity (FC) changes in these patients, which are know to be charactherized by an impairment of neuropsychological functions. 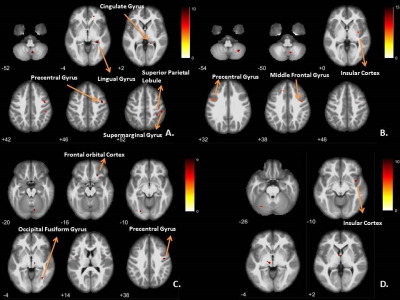 We found an increased FC in FRDA patients compared to controls in different brain regions, including the medial frontal gryrus, the angular gyri and cingulate gyrus, with a decreased cerebellar FC. Our findings of diffuse alterations of FC in FRDA patients compared to controls may shed new light on the pattern of supratentorial and infratentorial involvement and on dynamics of brain plasticity in this condition. Multiple Sclerosis (MS) patients could experience communicative deficits in “pragmatics”, which is the ability to integrate context-dependent aspects of meaning beyond structural components of language. 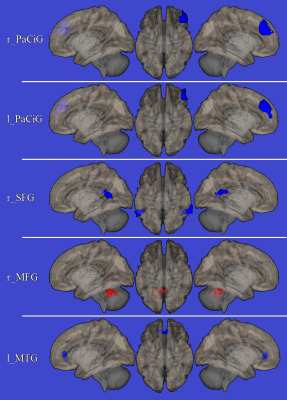 We evaluated relationships between pragmatics and functional connectivity (FC) of the bilateral inferior parietal lobule (the so-called Geschwind’s areas -GA-), in MS patients via a seed-based Resting-State fMRI analysis. We found a direct correlation between pragmatic scores and FC of both right (p=0.003) and left (p=0.009) GAs with the paracingulate cortex. Our results suggest that language is not only a left hemisphere function, and highlight a possible central role of paracingulate cortex in pragmatics. MDD is characterized by disturbances in mood and cognitive functions; however, the pathophysiological mechanism of MDD is incompletely understood. Using the largest resting-state fMRI MDD dataset in China with 1,434 participants, we revealed significant lower functional coordination in the orbitofrontal and primary sensorimotor and visual cortices and higher coordination in the lateral/medial frontoparietal cortices in MDD. These abnormalities were not affected by medication status but were partially influenced by episode number and onset age in patients. These findings provide solid evidence for functional brain disturbances and crucial insights into neuroimaging-based methods for early diagnosis and therapeutic optimization in MDD. Compared with participants with COMT rs4680-GG, the healthy Han Chinese participants with rs4680-A-allele showed higher degree centrality and functional connectivity in medial prefrontal cortex in resting-state BOLD. The rs4680-A-allele carriers also performed better in 3-back performance than rs4680-GG carriers, and the accuracy of 3-back has significant correlation with functional connectivity value, which indicated that the COMT rs4680 mutation modulated the functional connectivity and working memory performance. Several changes were previously found in functional and structural networks of High Potential (HP) children but interhemispheric communication was not investigated. 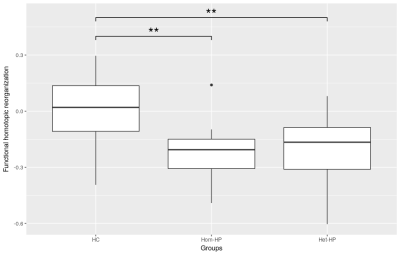 In this study, we studied the homotopic connectivity between pairs of left and right hemispheres regions in three groups of children with standard IQ, homogeneous and heterogeneous high IQ. Functional and structural connectivity were investigated using resting-state fMRI and DTI tractography, respectively, and graph theory for brain network analysis. 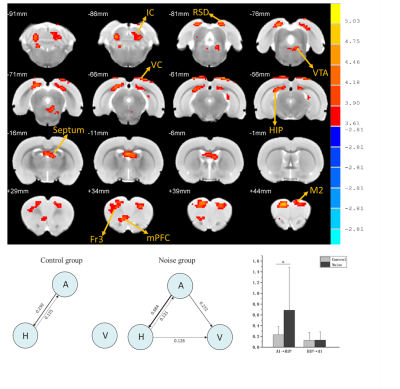 Our findings showed a reorganization of functional homotopic connectivity involving precuneus, amygdala and frontal pole regions in HP children. Dopaminergic network can be modified by the blood glucose levels. The medetomidine, which is commonly used anesthesia in functional MRI, increases the blood glucose levels. In the present study, we compared the functional connectivity in fasted or non-fasted mice under isoflurane or medetomidine anesthesia. The blood glucose levels in non-fasted mice under medetomidine anesthesia significantly increased but isoflurane did not. The correlation coefficients in the dopamine network were significantly higher in fasted mice compared with non-fasted mice under medetomidine, but not under isoflurane. These results indicate that medetomidine-induced blood glucose increase altered the functional connectivity in the dopaminergic network.